A.C.A. 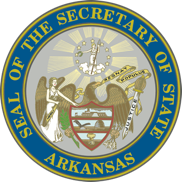 § 6-18-1706 requires organizations that place foreign exchange students in Arkansas schools to register with the Secretary of State’s office. Organizations must register by January 1 immediately preceding the next regular school year in which the organization proposes to place a foreign exchange student. The initial registration fee for these organizations will be $150.00. The renewal fee is $50.00 per year. For additional information on the registration process please contact our Business and Commercial Services Division at 501-682-3409.